Part of me is still in disbelief when I think about how Ola and I climbed Mount Kilimanjaro just two months ago. Now that I'm home and completely settled back into the routine of my regular life, the memories of time spent so differently feel muddled and distant, as if the familiarity and routine of my days kicked my brain into cruise control and glazed past them. So, let's jog my memory, the hike! 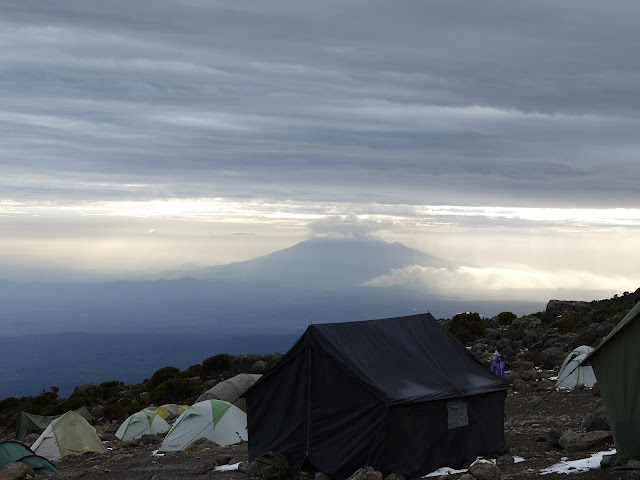 Mt Kili can be summited via eight different routes. 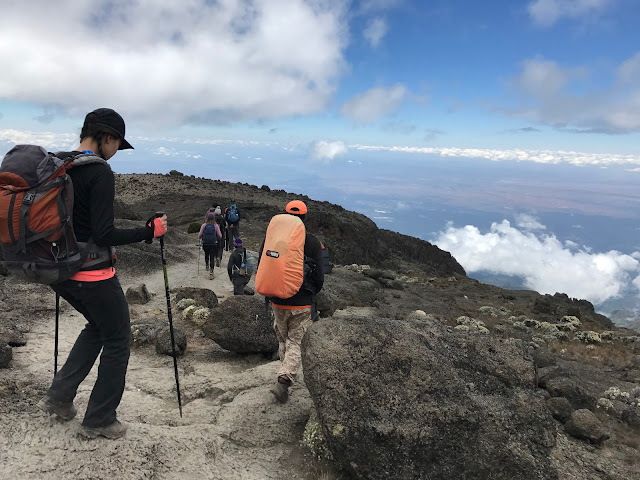 The slower you climb, the less likely you are to experience altitude sickness because your body is easing into the decreasing oxygen levels in the air. 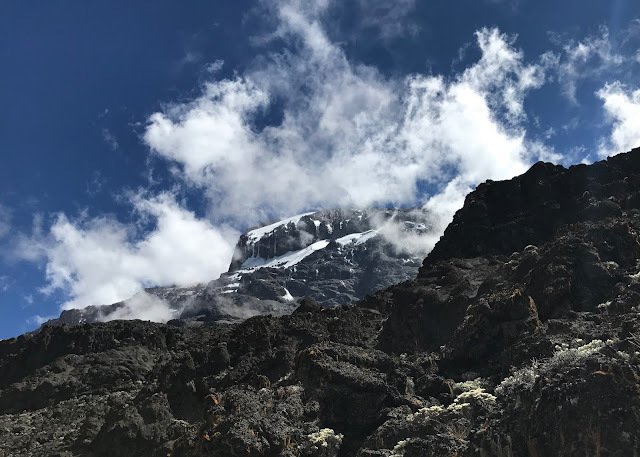 To minimize our chances of altitude sickness, we chose to hike the Machame route over seven days, which has an estimated 90% success rate with Kandoo Adventures, the company we chose. Since we had only two weeks to hike, safari, AND relax in Zanzibar, Ola and I opted to start the hike the day after we landed in Moshi. Luckily, we were able to adjust our sleep schedules to be able to sleep through the night after we landed. After arriving at our hotel in Moshi, two of our four guides came to brief us on the hike (moments after they had returned from taking another group :O) and we met our new family for the week: a couple honeymooning from London, two best friends from Scotland, an Italian Londoner, and a Nederlander. We also had our first health check, where our oxygen saturation and heart rates were checked and recorded. Though Ola had booked Kandoo Adventures mainly based on price and start date, by the end of the trip, I was very happy that we went with them. The mountain and experience itself was incredible but the thirty crew members is what made it an exceptional trip! 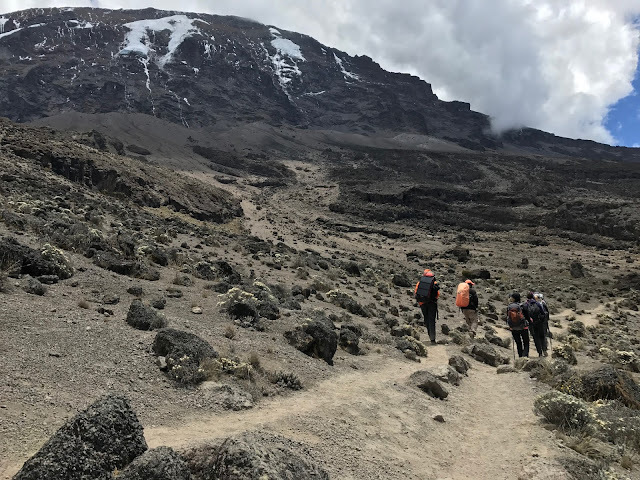 I felt at ease and confident that we were in good hands the entire time as the staff were well trained and knowledgable all things Mt Kili and made our health a priority. Because the photos are a mix of mine from my phone and camera and a few from the group, you'll need to excuse the inconsistency! We woke up, took our last showers for the week, and met our group at 9AM to load up the van and leave for the hour drive to Machame Gate, our starting point. Even as I climbed into my seat, it still hadn't fully sunk in that we were in Tanzania and on our way to start a seven day, high altitude hike. 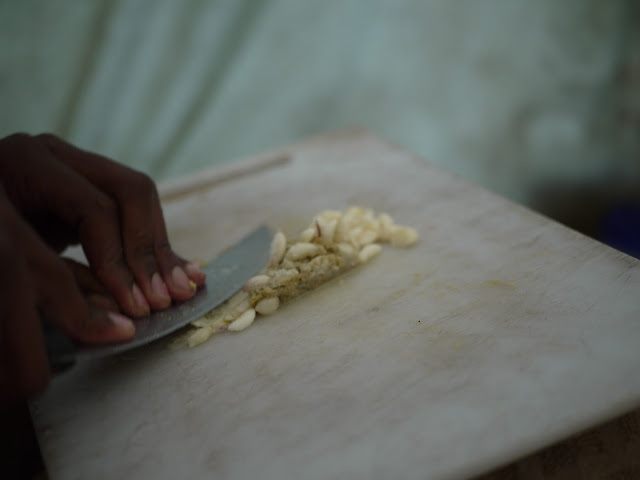 As I caught glimpses of Mt Kili nestled grandly among the clouds, behind the shops, homes, and trees we were driving past, excitement and anticipation bubbled up quickly and slipped out in the form of a squeal directed at Ola, haha! For a few hours we hiked up a wide, gravelly path surrounded by humidity and moss-covered trees, occasionally stopping for a pee or snack break. Our team got comfortable with each other quickly and by our second pee break, we were discussing the logistics of drip-drying (and as Linda likes to point out, I lost my drip-dry virginity) and the importance of minimizing waste left on the mountain (unfortunately, similar to Skyline Trail, we often saw wads or piles of toilet paper strewn around behind optimal pee rocks each day). We were also taught two common Swahili greetings and soon enough, we had replaced our hellos with mambo! and jambo! - don't they sound so jolly and happy? Meet our superhero Kandoo guides who made our trip run smoothly, from left to right: Jerome aka. Single J, Baraka aka. Mr. President, Armani, and Maxi. These guys constantly checked in with everyone and did all they could to make sure all of us made it to the next campsite, like carrying a tired person's daypack on top of theirs and keeping our spirits up with songs and jokes on long days. It was clear that everyone's goal, including the guides', was to get all of Team Tembo to the peak! We were educated on and constantly reminded of how to prevent altitude sickness: take your Diamox (altitude sickness prevention medication), stay hydrated, eat all three meals even if you don't feel hungry, and climb s l o w l y, pole pole (pronounced "po-lei po-lei"). 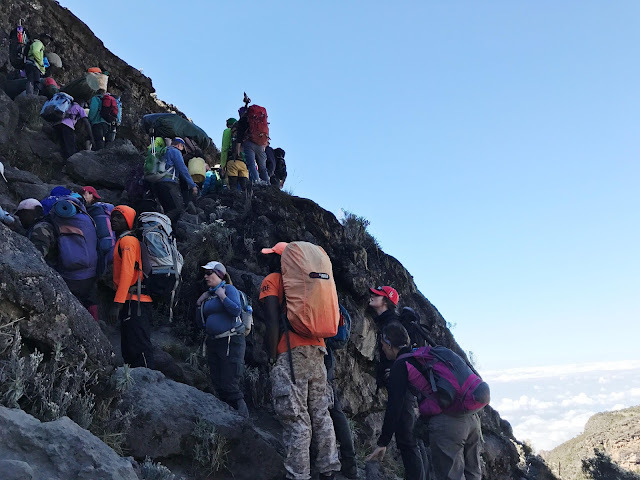 From day 1, the guides invited us to ask questions and they taught us about Tanzania's history and culture, interesting facts about the mountain and the climbing industry, and common phrases in Swahili. They also pointed out cool plants to us, like this flower; they call it the official flower of Kilimanjaro, impatiens kilimanjarii, commonly known as the Elephant's Trunk flower. Isn't it so unique? I've never seen a flower more exotically beautiful! Because Ola had done most all of the research for the hike and booked it, I was surprised by various aspects of the hike; it was a complete contrast to my past experiences with backcountry camping where we did everything ourselves. The first surprising thing to me was the porters' abilities. I know that they climb the mountain regularly and are used to doing it, but witnessing them move so quickly up a mountain, over rocks and boulders, and along precarious scrambling spots, with their full pack AND 20kg of luggage on their shoulders was impressive to say the least. I am so thankful for the porters because I would not have made it if I had to carry my own pack. When we arrived at the campsite, I was surprised by the fact that everything was set up already: all of our tents, the dining hall aka "the mess", our private toilet, the chef's tent, and porters' tent. Each of us were brought to our tents, which were set up neatly with our duffels, sleeping bags, and comfy, flannel-covered foam mattresses, before we were given hot water for washing. Such luxurious backcountry camping! 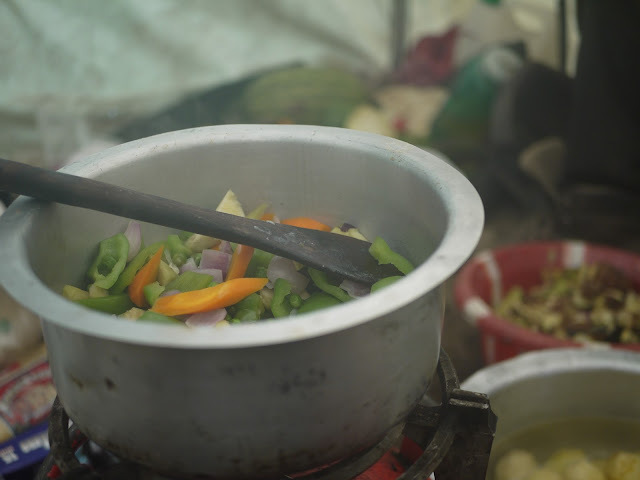 After washing up, I followed my nose to the chef's tent and found soup simmering on a propane stove. Chef Paul and his trainee invited me in to take photos and I watched them make popcorn (a snack for us before dinner) and dinner with ease, despite the small space and limited kitchen tools. Visits to the steamy kitchen tent became a regular afternoon activity as Ola and I enjoyed watching the action (and the heat, especially on colder nights!). 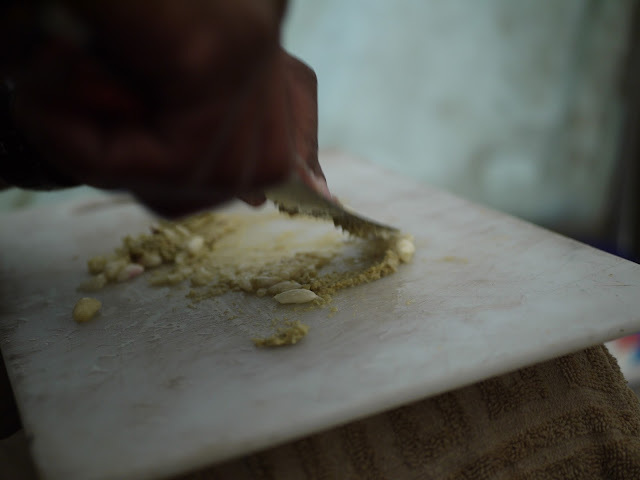 Chef Paul taught us cooking tips and let us help with easy tasks like whisking the soup. Coleman was our waiter; a lanky, twenty-something jokester who would often say ridiculous things like, tonight, we're having flamingo wings and snake soup. Welcome to Coleman's office (as he calls it), the mess. This was where I spent most of my time when I wasn't hiking or sleeping; where I indulged in the abundance of hot chocolate, tea, Milo, and coffee while reading a book or looking through photos from the day; where we ate all our meals and shared travel stories while warming up our hands with tea and our insides with the soup of the day; and where, every night after dinner, we would play the most complicated card game known to man (thanks, Baraka). Every day, the guides reminded us to drink LOTS of water to minimize chances of altitude sickness. Every so often, someone would call out sippy, sippy! or maji maji! and we knew it was time to take a gulp. We were told to aim to drink 3L during the hike and another 3L after reaching camp each day. Some were champions at this (Linda and Lizzie!) and able to do exactly that but I was not. Though I thought I was doing a great job and felt like I was sipping my water every few minutes, I surprised myself with how little I actually drank when I took out my Hydrapak at camp on the first night: 750mL...oops. Maybe my strong preference to NOT use a pee bottle or the Go Girl in the middle of the night had taken over my subconscious. I assumed that using the Go Girl was inevitable, but I'm happy to report I didn't need it at all, even after increasing my water intake to an acceptable amount! Thankfully, our toilet was never further than a few steps away from our tent and after moving my second Diamox dose up from bedtime to just before dinner, overnight peeing waned. Woop! Not only was Coleman our waiter, he was also our alarm clock. Every morning he came by and shook our tents gently and said, good morning, time to get up. After a 10 hour sleep (with only one pee break interruption at midnight), we woke up to a bright, sunny morning. Our daily morning routine consisted of half an hour for getting ready for the day and packing our duffels for the porters and an hour to eat, digest, and take a group photo. Then it was poles out, pack on, and go! From the get-go, we were climbing uphill and unlike the first day where the incline was gradual, the majority of this day was fairly steep. 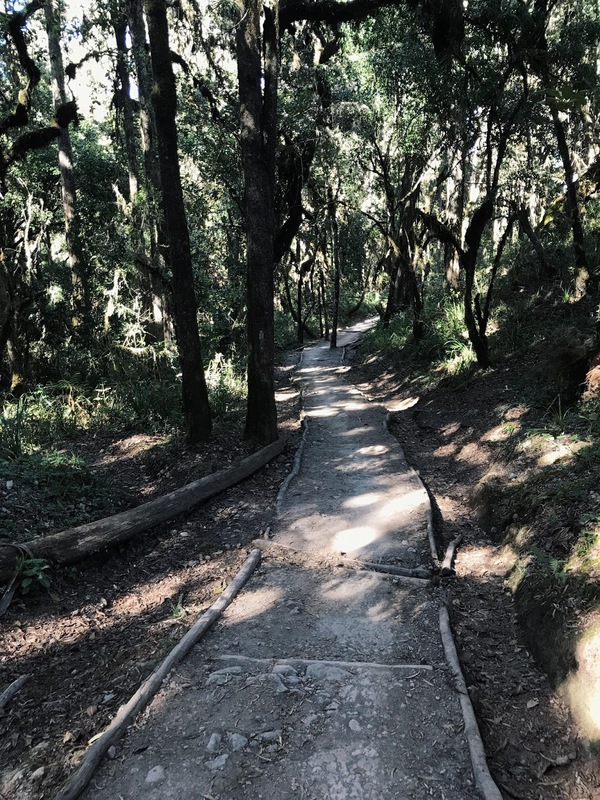 We had hiked out of the lush, humid rainforest just before reaching our campsite in moorland the night before and as we continued to gain elevation, the vegetation got shorter, dryer, and more sparse. The 9km to our next campsite took us about 5 hours to hike as it was all uphill and covered in stones of all sizes, from pebbles to massive boulders. Along the way, we took snack breaks at a couple vantage points like the one below: a cliff with an amazing view. Another look behind us to encourage myself with how far we had come. And just look at that view! When hiking in a group, you'll usually find me at the back, stopping to take photos often, mostly of interesting plants or terrain. Though the number of plants definitely decreased as we moved up to higher elevation and lower temperatures, I still saw some interesting ones, like these small flowers. Look at how intricate and delicate they are! Their petals reminded me of tissue paper so I called them "paper flowers" in my head. Each of these flowers were the size of half of my thumb. The terrain was unusual throughout this stretch as most rocks had rounded edges (looking somewhat lumpy!) and were embedded into the ground, entangled in roots. As we neared the campsite, the lumpy, rocky floor was replaced with a dirt path that snaked through low shrubs. Around 1PM, we arrived at our foggy campsite. We had leek soup, spaghetti bolognese and orange slices for lunch (luxury backcountry, I'm telling you! I'm still not over it) before Baraka introduced the entire crew to us. Traveling with and taking care of us, we had four guides, a hikers' chef, a chef-in-training, a porters' chef, a waiter, a toilet boy, and the rest, porters. After introductions, the crew sang us a few popular tourist songs that we had overhead other groups singing earlier. I love these songs and how they livened up everyone's mood and brought palpable joy to the crew; some of them got really into it, dancing and clapping enthusiastically! 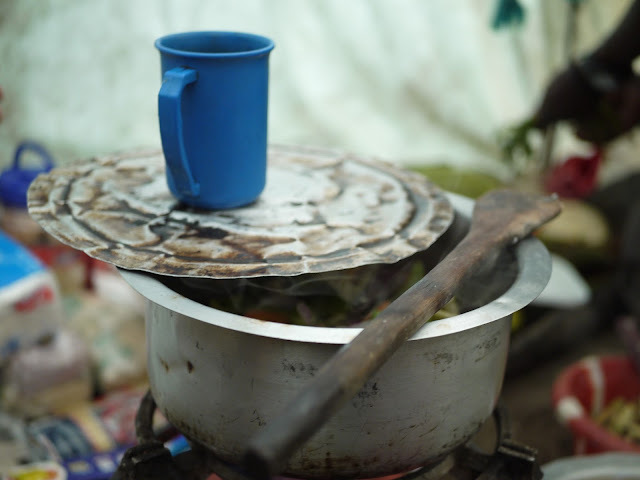 We had a couple hours of free time before the short acclimatization hike so Ola and I stayed warm in the kitchen while most of the others rested in their tents. The clouds danced all around us and across the sky as we started our acclimatization hike. We passed the Shira Cave and made our way up the 70m extra elevation to a gigantic rock. Atop the rock, we had a great view of Mt Kili (when the clouds weren't hiding it) and the guides pointed out part of the Lomoshu trail that connects to Shira 2 Camp. 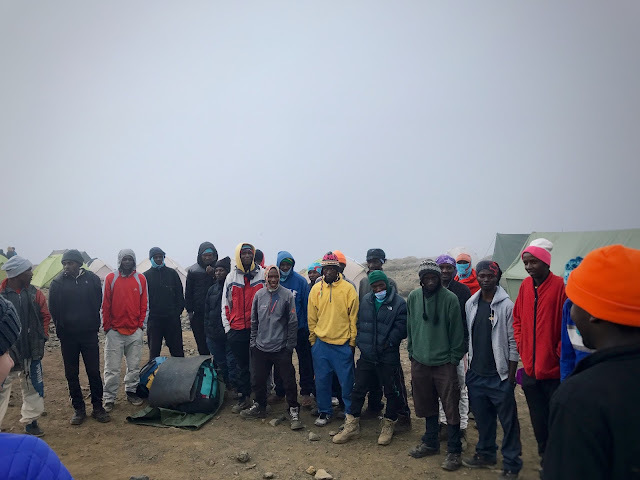 The clouds were constantly moving around us, making it hard to get a photo with Mt Kili behind us so we settled for a group photo on the rock with clouds hiding the blue sky and the view behind us. After the short, one hour hike, we reached our tents just as the sun was setting. The clouds continued to move all around us, forming pillars and smoke-like shapes. 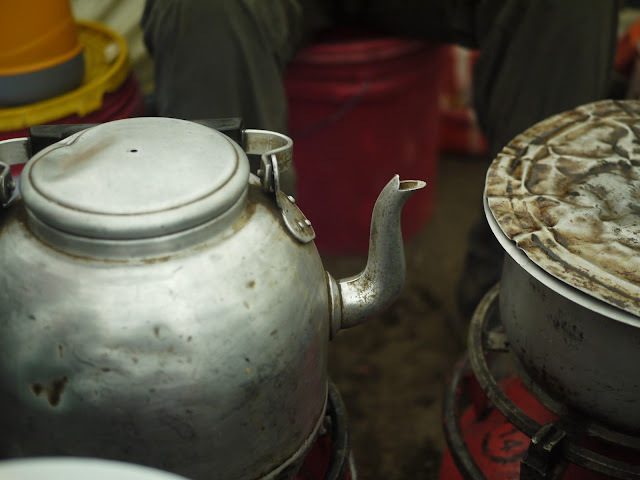 We had hot drinks and snacks in the mess while Baraka briefed us on the next day; we would be hiking one of the longest days of our trip, up to Lava Tower at 4600masl, which is the same elevation as base camp for the summit, and down to Baranco Camp. When we left the mess, we were met with a clear view of the full moon. 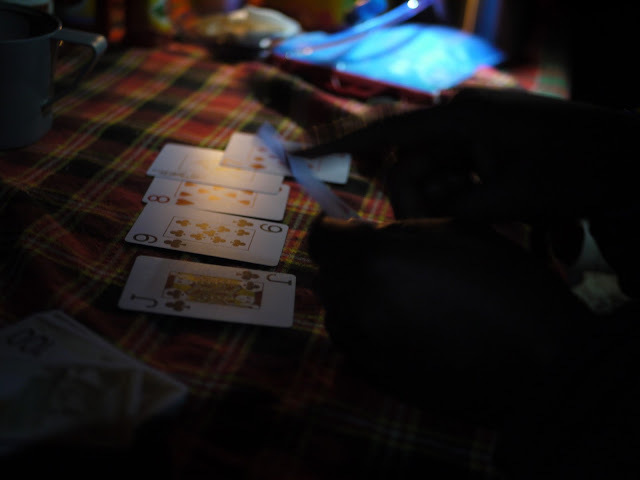 Some of us stayed up a bit later ("late" on the mountain means 9PM) and Baraka taught us a popular card game called Last Card, the aforementioned complex card game we ended up playing most nights. By the time we left the mess to go sleep, my toes were chilled through. It was a brisk evening; only four degrees inside our tent and we could see our breath in front of us. Because my feet were already cold and there was lots of room for air in the bottom of the sleeping bag, my feet never warmed up and woke me up several times throughout the night. 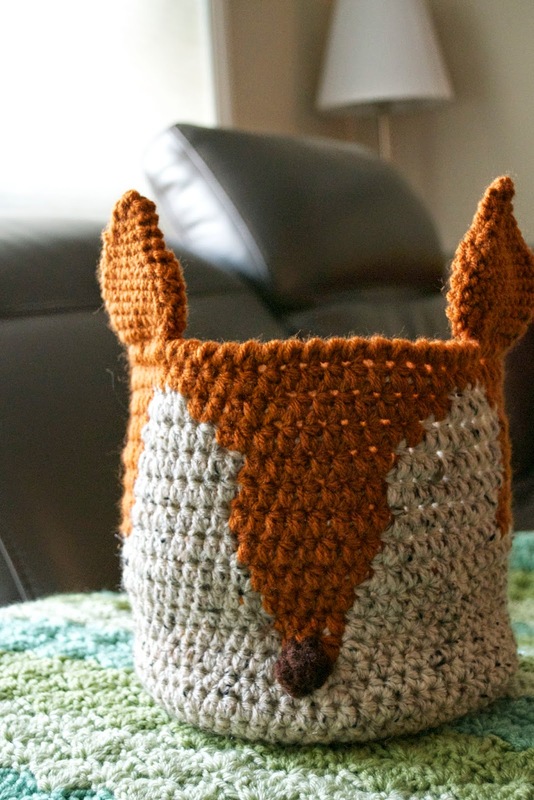 I kept shifting positions, trying to warm up my feet by putting them behind my knees and at one point, wrapped them up in my warm sweater, to no avail. We woke up to another beautiful, sunny morning with the clouds calm and settled below us, exposing Mt Meru in the distance. When Coleman came in to bring the first tray of food (Spanish omelettes, no less! ), he told us, today is a very special day, it's Eli's birthday, so we will be having a party...so whatever happens, please stay calm and do not worry...stay calm. We were all intrigued but before we could think much more about what he said, we heard footsteps walk up to each corner of the mess and in a few swift movements, the tent was lifted up over our heads and disassembled by a few porters! Confusion. As our eyes adjusted to the bright sunlight, the entire crew started clapping and singing "Cake-y" followed by Happy Birthday in English (a Happy Birthday equivalent doesn't exist in Swahili) while walking towards us in single file; the last person in line was Chef Paul, holding a decorated cake for Eli! I assumed that they had brought the cake from Moshi and maybe decorated it that morning because I couldn't imagine how one could possibly bake a cake on a propane burner!? We found out that Chef Paul had stayed up most of the night to bake her the chocolate cake as it takes about six hours to bake a cake at this altitude. 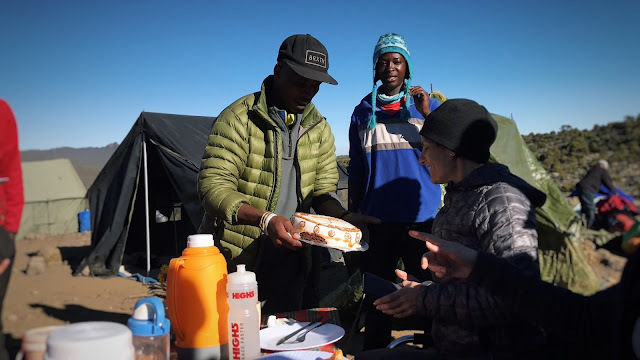 Ola and I were both so impressed with this feat and also slightly emotional...because who gives up sleep on the night before one of the longest hiking days to bake a stranger a cake? Also note that this cake was perfectly moist and chocolate-y; deliciousness was not compromised by the altitude or lack of oven or a sleep-deprived chef. Shortly after the exciting birthday festivities, we started hiking up a gradual incline. Though we would end up sleeping only 100m higher than last night, we had to hike up almost 1000m in elevation to Lava Tower on our way to the next campsite. Just like the short hike we did the night before, this increase and subsequent decrease in elevation would help our bodies adapt to the thinning air. 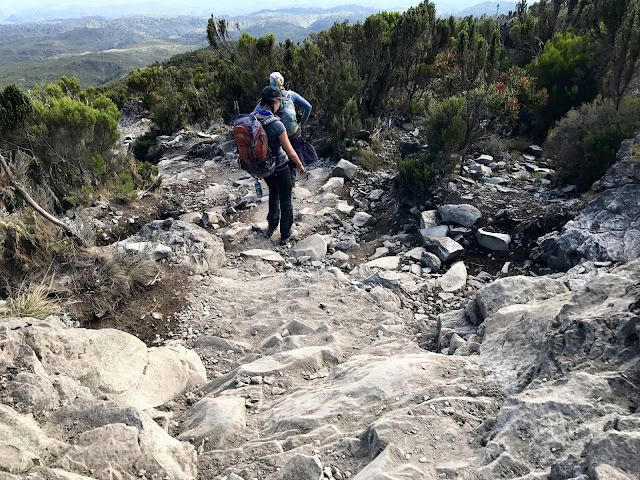 One of our Team Tembo members, Fiona, felt sick shortly after we started hiking this day and unfortunately, nausea and vomiting became a daily occurrence for her. Fiona was such a champ and I admired her ability to keep going despite feeling sick all day, every day; especially on this long, 12km hike we did the day she started feeling ill. This hike brought us through semidesert, which looks like what you'd imagine: dirt, rocks, and very few plants. A couple hours into the hike, the clouds hid the blue sky and created a grey backdrop behind tall, funky-shaped rock formations; I felt like we had stepped into a different world. The semidesert was especially difficult to photograph because the sheer magnitude of how large everything is in real life isn't captured well. To put this photo into perspective, the tiny black speck on the skinny trail running horizontally on the right hand side is a person. !!! A few hikers (yes, those dots in the distance are humans) making their way up to Lava Tower, the dark rock-like structure on the right. Walking through a nearly dried up stream bed. I was intrigued by the different colours of the dirt we were walking on; as you can see, the dirt changes from a warm light brown to a cool greyish black closer to Lava Tower. In addition to what Fiona was experiencing, high altitudes can also cause a loss of appetite and I first noticed an obvious decline in my appetite during lunch at Lava Tower. It was a strange feeling because I felt super hungry when I sat down for lunch, my stomach loudly grumbling in agreement, but once I finished my soup, I felt a tinge of nausea and didn't feel like eating much else afterwards. Knowing I still needed to replenish the lost calories from hiking and that we had another few hours ahead, I tried to force myself to eat a bit more. After lunch, we hiked downhill into a foggy, rocky valley. As per usual, Ola and I were bringing up the rear when we saw a man ahead of us being held up by two people, one of whom was Maxi, our guide. He was a non-English speaking hiker from another group and his legs were moving sloppily over the rocks, as if they were made of jelly. We later found out that his oxygen saturation was in the 40s when Maxi first approached him. Because he had extremely low levels of oxygen circulating in his blood, he had little muscle strength, slurred speech, and looked out of it. With the exception of the guide that was with him, the rest of his group, including the translator, had gone ahead and were nowhere to be seen. Maxi and his guide continued supporting his weight while hiking to ensure that he would get to the next campsite safely. After hiking in and out of a couple valleys, the ground became more gravelly, dark, and loose. At one point, the fog became so thick that we couldn't see too far ahead of us for some time. After walking through what felt like hours in a fog-filled, colourless bubble, seeing some greenery felt like finding treasure! For a short while, the fog lifted, exposing big and small Giant Senecio trees scattered in front of us. Don't they look like giant cousins to the pineapple? After a short spurt of blue skies, the fog returned, looming over us and the thin forest of Senecio trees around us. Maxi and the sick hiker's guide had to carry him over the boulders and rocks and up and down the hills, all the way to our next campsite. 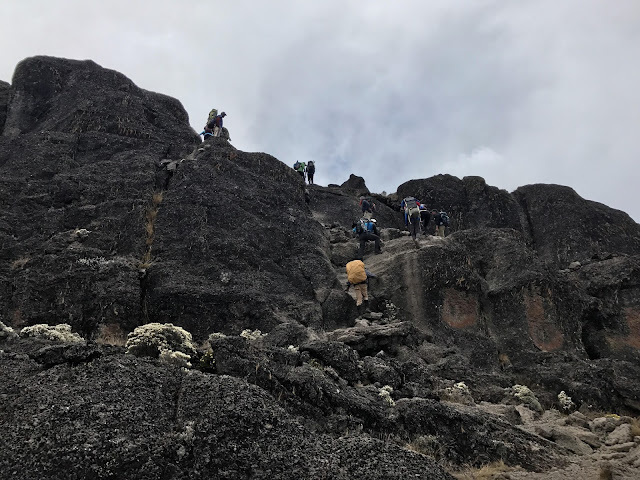 As we moved to lower elevations, his oxygen saturation improved and the guides assured us that he would be fine as long as he continued descending the next day. We made it! The long day was over. When we arrived at Baranco Camp, the fog was still very thick so we couldn't see much beyond our group of tents, including the Baranco wall that we would be climbing the next morning. After sunset, the fog cleared and we could see Moshi's city lights sparkling far below us, like minuscule diamonds on a piece of black velvet. When Baraka briefed us, he told us not to worry about the Baranco wall and its narrow, cliff-like trail, saying, don't think or dream about the wall because it isn't thinking or dreaming of you! with a serious face. None of us had any fear or worries until he briefed us with ominous statements. If you look closely, you can pick out a few people in the upper left area of the photo below. To give you an idea of the colossal size of this wall, the white, red, and blue specks are people! When we first started climbing the wall, it was fairly busy and congested. Some sections were walkable, while others required using all fours to push and pull ourselves up. A couple short sections required more careful maneuvering but I never felt unsafe, contrary to what I expected after our briefing last night. Climbing and scrambling up parts of this wall was so much fun! Probably because it was different from our usual one-foot-in-front-of-the-other routine. The lumpiness of the rocks provided great holds for pushing off of and pulling ourselves up with. Some clouds moved in when we were close to the top so I didn't realize we were almost there. The incredible view was exposed in a dramatic fashion when the fog cleared up as we made our way to the top of the Baranco Wall. Beautiful, isn't it? After a short break for photos at the top of the wall, we proceeded to hike down the other side. My extroverted, nature-loving self loved these long days of hiking with nothing on my agenda except to hike and chat with new people and one of my best friends; I was in my element. Ola and I talked so much that at one point, Linda asked us, genuinely curious, how we had so much to talk about after knowing each other as long as we have (twelve years). Haha! After hiking through a valley with shrubs and small flower bushes, we climbed upwards on a curvy path. We eventually came to an area that looked more like a desert again: dusty and sloping land with only rocks and tiny patches of dry plants dispersed across it. A tremendously thick fog kept us company as we hiked towards a ridge and continued to loiter around us while we stopped for a short snack break. On our ascent up the other side of the valley (the trail we took seen in the photo below), I noticed another trail in the distance that sat along the wall of the valley, circumventing the bottom of the valley that we had just hiked through. Baraka told us that trail is now closed to hikers but porters still use it as a shortcut to bring water to base camp (where we were headed the next day), as base camp is "dry", without a water source close-by. We also learned that two porters had made a day trip from Moshi earlier today to drop off fresh vegetables, meat, and other food supplies to Chef Paul at Karanga camp. !!! Beyond luxurious camping, right?! Was I ever grateful for these men. When we were about 10 minutes away from our campsite, I felt tiny raindrops sporadically hitting my face and hands but luckily the hail (yes, HAIL!) didn't start until we were inside the mess finishing up our lunches! The timing of the weather was impeccable throughout our entire hike. For most of our trip, we were served Western food but we got to try traditional Tanzanian cuisine for lunch today: ugali (maize mash), bagia (lentil fritters), sweet corn fritters, banana fritters with Nutella, and a green leafy vegetable, seasoned and cooked, that the guides couldn't recall the English name of. Thankfully, the hail didn't last too long! Enjoying the warmth and steam in the kitchen, once again. After the hail and snow left their mark and the clouds cleared up a bit, we were gifted with a glorious sunset! Linda, Ola and I did a few minutes of yoga to stretch our legs, which proved to be long enough for this altitude. As usual, a group of us stayed up until around 9PM playing Last Card before going to bed. Knowing that tomorrow was going to be a long day with the morning hike to base camp then the summit hike at night, I fell asleep excited for what was ahead. By the time we woke up, most of the snow and hail had melted and we saw a sea of big, fluffy clouds below us, stretching as far as the eye could see. Our good ol' mess with beautiful Mt Kili in the background. Today was the big day! 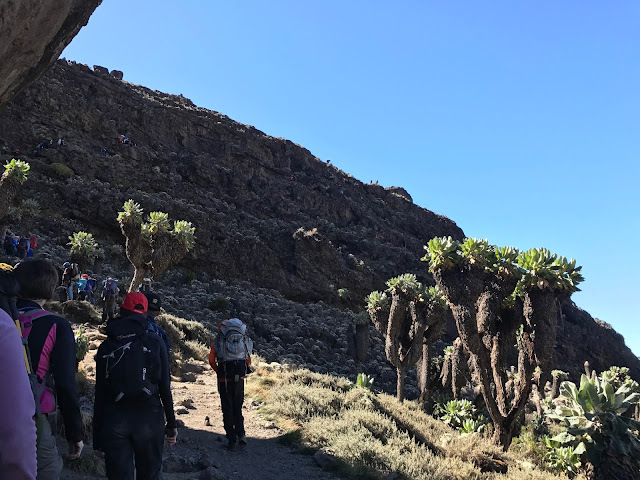 After our short three hour hike of 6km through Alpine Desert, we would be at Barafu Hut, aka base camp, preparing for the summit hike later that night. The Team Tembo crew encouraged us with songs and dancing before starting the hike. I was amazed at how they could move and sing with the same gusto and strength without losing breath when I needed to catch my breath if I was talking and walking a few steps uphill. The music had pumped me up and I wanted to keep singing! Though Ola and I had no troubles singing and hiking simultaneously on the first few days, belting out tunes while hiking uphill at almost 4000masl proved to be a difficult task and I had to quickly forfeit. After the initial, slow uphill climb, we descended into another valley and continued moving around Mt Kili. Looking back at how far we had come. Desert, indeed! Barafu Camp was the busiest campsite we'd seen so far because at least three routes merge here before hiking the same trail to the summit, Uhuru Peak. Though we had only hiked three hours to get here, the effects of the altitude were apparent as we were all walking slower and tired after the short hike. We walked another 10 minutes from the registration table before we found our tents. Because the fog was blocking the sunlight, I found myself feeling cold shortly after we stopped moving. After some downtime, we had lunch and then were instructed to try and nap until dinner, which was unsuccessful for me. Maybe it was because I knew several people who had climbed Mt Kili or the lack of thorough research (probably both, haha), but I didn't think much about the physical and mental challenge that this hike would pose before getting to this point. I figured it'd be similar in difficulty to Machu Picchu, which many of my friends have also done, and left it at that. The whole week was going smoothly so I didn't leave any room for questioning whether or not Ola and I would summit. During our briefing after dinner, we were told that frozen toes were to be expected and that realistically, any of us could get altitude sickness and need to come back to base camp before summiting. A trickle of doubt started to crack the cemented idea I had that we'd make it to the peak, no problem. The reality hit me that there is a chance that I wouldn't get to the top; I tried to reason with myself, telling myself that I have no control over how my body will react and that all I can do is be prepared to be cold and to have a positive attitude whatever the circumstance. Though I'm the type of person who can sleep anywhere, at almost any given time, I couldn't fall asleep after dinner and instead, lay in my warm sleeping bag listening to my heart lub-dub against my chest in a hurried pace, partially because of the altitude but also because a small part of me wondered if I would really be able to make it, until I drifted off for what felt like only a few moments. At 11PM, we were woken up to have a snack/breakfast and start hiking. You might be wondering why in the middle of the night? We were told that one of the reasons the majority of summit hikes are now done during the night is to maximize success rates; the ability to see how far away the peak was in the daytime was discouraging and resulted in more hikers giving up when they were tired. I started layering on the list of clothes I had strategically laid out in my mind while I was lying awake earlier. I was convinced that feeling cold would be my Achilles heel and would affect me the most mentally, so I made it my goal to do everything I could to avoid feeling too cold to make it. From skin to air, bottom up, I wore: liner socks, Merino wool hiking socks, MEC long johns, fleece tights, hiking pants, rain pants, two long sleeve long john shirts, a t-shirt, a Uniqlo down jacket, a MEC fleece zip-up, another zip-up sweater, and a down winter jacket borrowed from Ola's mom's basement. I also wore a fleece neckwarmer, fleece toque, and ski gloves. Thankfully, my strong dislike for being cold led me to be over-prepared and soon after we started hiking, I had to unzip my jacket and the two layers beneath it because I was TOO WARM. Phew. 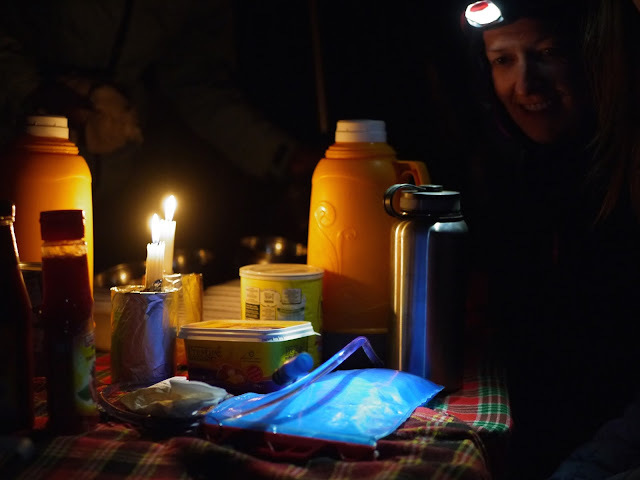 During our briefing the night before, we had decided to bring two extra porters along as we were also told to be mindful of our fatigue and to give our packs to a guide/porter if you started feeling tired in any way instead of waiting until you're completely fatigued. Though we were told this repeatedly and adamantly, I thought to myself, I can at least carry my own backpack up and down. A couple hours into the summit hike, one of our guides insisted that I give my backpack to a porter to save my energy and for a few moments, I wanted to insist back that I could do it on my own; I soon recognized that these thoughts were stemming from useless pride so I handed it over and was immediately glad I did, for the lightness in my feet felt like an energy boost! For the first five hours of hiking the tight, short switchbacks in darkness, all I could see clearly was the feet of the hiker ahead of me and my own. Baraka was leading the group and set a slow and steady pace for us so none of us were huffing and puffing as we moved up the mountain as one, snake-like unit. We never stopped moving for more than a few minutes at a time to avoid having anyone get really cold. It felt bizarre to be walking at the slow pace we were so I tried to focus on staying in rhythm with the feet in front of me. I thought I'd be bored out of my mind and constantly wondering when we'd arrive while in the dark for six hours, but I was shocked at how quickly time passed. Honestly, I wonder if the lack of oxygen from breathing the thin air restricted my brain's ability to function at its regular capacity because it felt easy to distract myself for most of the hike. At the beginning, I was marvelling at the number and clarity of the stars in the night sky. Then, I was impressed by Simon's ability to continue hiking grandpa-casual with his arms held behind him as he had been doing all the preceding days; this posture made him look like he was taking a pleasant stroll around the neighbourhood! And later, the headlamps of hikers ahead of us dotted the dark mountain, resembling the stars just above them. Occasionally, Maxi would call out to each of us to check in or our guides would shout back and forth in Swahili or sing parts of a song. I used a patch of snow that sat to the right of us in the distance as a reference point. When we started, it was high up on the mountain but every time I looked over at it, we were getting closer and closer until we eventually passed it and it sat below us. The first time I asked what the time was, guessing that maybe two, max three, hours had passed, it was already 5AM! Soon, the pre-sunrise glow lit up the mountain and we could see all around us. Moments before the sun appeared above this peak was my first favourite moment of the summit sunrise: the jagged outline of an adjacent mountain was lit up with a fiery red outline. The combination of the sense of accomplishment that we were almost there and the appreciation for the beauty of our surroundings almost brought me to tears. As I was consciously trying to hold it together until we at least reached Stella Point, Ola said something about feeling like crying and I stopped and turned around to say, ME TOO! But I need to hold it in until we get there. As we stepped up from the steep trail to the (somewhat) level ground in front of the sign for Stella Point, the inevitable happened. Ola and I cried tears of joy as we hugged Team Tembo. We had made it, all of us, together, even Fiona who still felt sick! Team Tembo was now just a short hour hike away from Uhuru Peak. As we started the final leg of the climb to Uhuru Peak, which was another 100m up in elevation, I couldn't stop admiring the glaciers. One of our guides, Jerome, took my phone and took all these photos for us so we could drink in the moment and the view. During the last leg of the hike up to Uhuru Peak, I thought about the many ways that the altitude affected my body. From the obvious loss of appetite to seemingly slower brain processing to changes in physical abilities, it all forced me to practice being mentally strong to keep going. Finally, celebrating at Uhuru Peak! 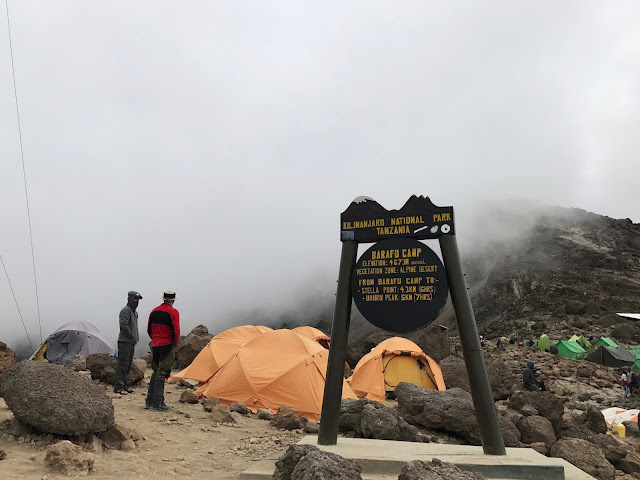 We had climbed the 7km summit hike in about six hours (which is about average time) so it seemed impossible that the current record holder for fastest ascent and descent of Mt Kili was a high altitude runner who had done it in 6h 42m 24s in 2014!!! 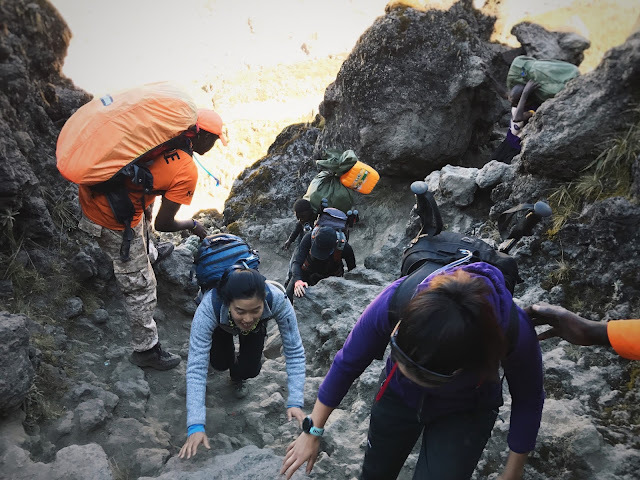 I was by far the most impressed by Fiona and her ability to push through feeling progressively more nauseous as the hike went on, even vomiting en route to Uhuru Peak, and STILL making it with us! Thankfully, the weather was amazing, with no precipitation and sunshine all around! Can you imagine if it started hailing or snowing mid-climb?! As I looked around, appreciating the glaciers, the grandiosity of the mountain, and the people around me, I felt immense gratitude towards the guides and two porters who took us up here. I thought of how Baraka consistently encouraged Fiona throughout the week and all the way up to the peak; how Maxi had Eli hang onto his backpack strap to pull her most of the way to summit; how all the guides and porters took everyone's backpacks mid-hike before we felt tired; how they even opened Ola's water bottle and gave both of us gulps of water so we wouldn't have to take our gloves off! Enjoying sunshine and juice-boxes on our way down from Uhuru Peak. What felt like only a few minutes at the peak (which we were told was actually half an hour), we started heading down to base camp. Descending was very different from our ascent; we flew down the mountain, shoving each foot into the loose, dusty gravel straight down the mountain rather than zigzagging down the packed trail we had taken up. Because the sun was beating down on us, we shed most of our layers by the time we got back to camp, which was in a short two hours! When we arrived at our tents, Coleman greeted us with orange juice and one of the porters came to help dust off our pants and shoes. Because we had kicked up a lot of dust coming down, I felt like my tongue and the insides of my nostrils were coated with a layer of dust for the rest of the trip. We laid down to rest before lunch with this view from our tent, the breeze keeping us cool from the sun. It all felt like a dream and my tiredness hadn't kicked in yet so I lay awake, again, this time enjoying the heat from the sun and the view while jotting down some thoughts. But we weren't done hiking for the day; we still had 5km left to Mweka Camp after lunch. Because base camp is so busy, staying another night was unfortunately not an option. On our way down, energy levels were definitely lower from pulling an all-nighter and because the highlight of our hike was now over. After passing large boulders and groups of tents scattered across the campsite, the trail took us down a soft slope, with nothing but dirt, clouds, and sky ahead. Grand Mt Kili behind us, towering over the dusty semidesert. Our plan was to take a longer break at the next campsite, High Camp; as we got closer, the boulders were replaced by shrubs and trees. Soon enough, lumpy rocks filled our paths again and greenery was everywhere. The view from the ridge that the trail took us along was mesmerizing in the sheer vastness of the land below and beyond us. From Mweka Camp, only a bit of Mt Kili's peak could be seen over the tree-line; it seemed surreal that we had hiked up and down that exact mountain that we could only see in the distance now. After washing up and changing into clean(-ish) clothes, we enjoyed dinner and was surprised with another chocolate cake from Chef Paul and singing. Despite having not slept for over 24 hours, I stayed up to play our beloved card game one last time before heading to bed. The moment my head hit my makeshift pillow (my neckwarmer stuffed with some clothes), I was out. When I woke up, I couldn't believe the hike was almost over. I felt fully settled into and attached to this luxurious backcountry camping life! Before starting our 8km hike out to Mweka Gate, we had a tipping ceremony with the entire crew. Spokespersons from the hikers and the crew thanked each other on behalf of their respective groups, us hikers taught the crew The Hokey Cokey (the European version of the Hokey Pokey! ), we all sang a couple Swahili songs together, and we presented the crew with their tips. Then we were on our way! The path started off resembling a natural sidewalk, clearly outlined with wood and with occasional breaks. The trees grew taller and the forest, thicker, the further we descended and soon, we were back in the humid jungle again, where we had started almost a week ago. I was startled by how quickly the porters were descending, some of them running as though they were racing each other! 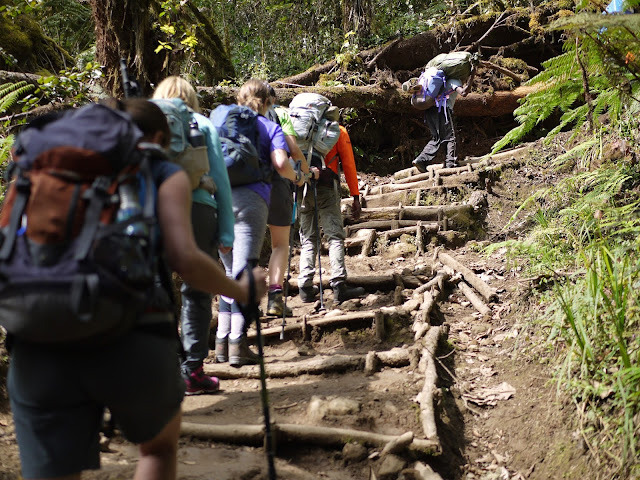 Our guides told us that this is common as they are all rushing down to get home to their families with their tips; unfortunately, this leg of the hike is where the majority of porter injuries (and deaths, on slippery, rainy days) occur. I came across the Elephant's Trunk Flower again and examined its intricacies for the last time. 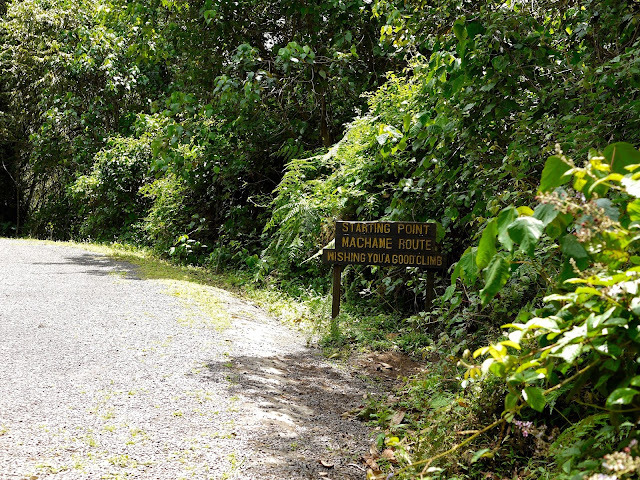 When we were a few hundred meters from the gate, two men were stopped on the side of the trail, pointing their cameras towards the trees. As we neared them, one of them turned and motioned that we come closer. As I walked up, they pointed out several white, fluffy monkeys hanging out, up in the tree branches! After watching them for a few minutes, we continued walking and just like that, the hike was over. We took our last Team Tembo photo before heading to the busses. While I sat in the bus heading back to the hotel, I already missed the mountain and the simple schedule we had each day of hiking from one place to another, with nothing else planned except enjoying nature and hanging out with this small group of people. No emails or texts waiting for replies, no laundry or dishes, no errands to run; the only thing missing was my husband who was at home, halfway into his first semester back at school. Needless to say, it was a much needed break from the usual buzz of real life. Later on in our trip, Ola posed the question, Why did we this? What makes people want to do this? especially given the considerable risks taken by hikers every year to participate in altitude climbs, or any activity with the risk of severe injury, or even death, for that matter. At first, I didn't have a great answer except that I enjoyed myself. But I became curious, too; why DID I choose to spend my money and time this way? And the more I thought about it, I discovered that in addition to the satisfaction from successfully completing a physical and mental challenge, I enjoy the process of learning the balance of respecting our bodies while pushing our limits and also experiencing and having increasing respect for nature; just as I've learned to respect the ocean and its immense beauty and dangers, Mt Kili has taught me the same of altitude climbing. More to come about the rest of my trip to Tanzania soon!